Saw this bicycle during a self-guided tour of Perry, Georgia. Notice the scroll work on the spokes and frame. 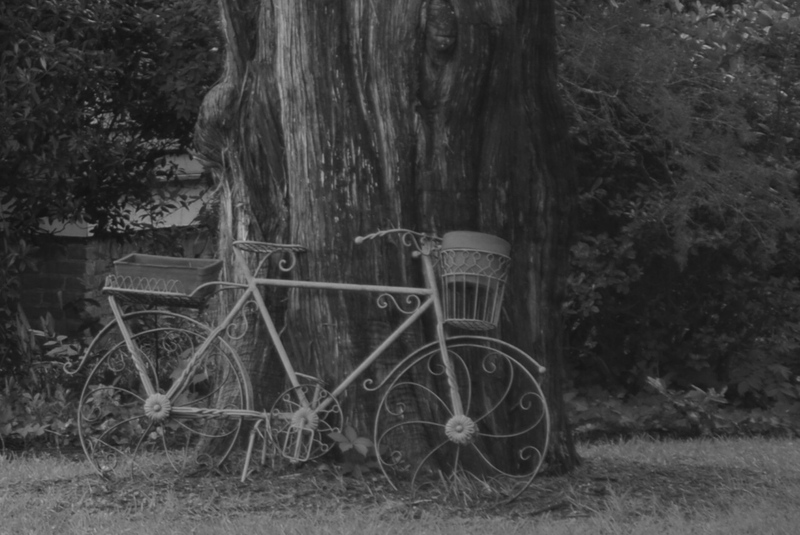 I could imagine the little girl or young woman riding this bike into town, just a few blocks up the street, to get milk or bread, or maybe to see a movie on a Saturday afternoon. Also, notice the size of the tree? That tree must be a hundred years old or more. You don’t see trees that large around here very often.